The title of Asian-American MC Offwhyte’s sophomore LP is inspired by ancient Aztec lore, which holds that humanity is currently in its fifth and final “sun” of existence. According to the liner notes, The Fifth Sun is simultaneously an “effort to connect with those who strive to attain greater awareness” and a challenge to live life “as if these were our last days on Earth.” After turning heads with his 2000 debut Squints, Offwhyte returns with his inimitable poetic flurry over gritty jazz-laced beats by Meaty Ogre, Open I and Alias (of Anticon). Whether dropping futuristic flows on “Beta Alpha” or executing razor-sharp battle rhymes on “Offwhyte vs. Bubba,” the driving force behind The Fifth Sun’s 14 tracks is Offwhyte’s seamless delivery of mind-bending rhymes. This is no-nonsense hip-hop that shuns R&B hooks in favour of deft lyricism and solid cinematic production. The Fifth Sun is hip-hop for the new millennium. 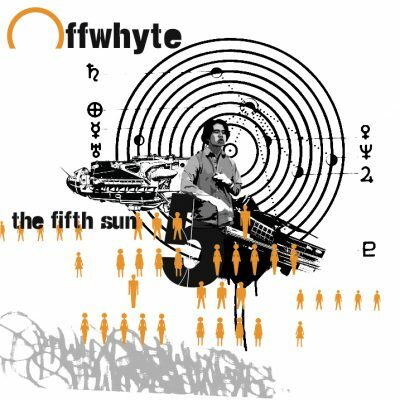 comment "Offwhyte – The Fifth Sun (CD) (2002) (FLAC + 320 kbps)"